Finding Myself in Borneo is an honest and buoyant chronicle of a young Canadian man's adventures during 1968-70, while teaching secondary school as a CUSO volunteer in Sabah, Malaysia (North Borneo). Travel with Neill McKee on his unique journey through vibrant Asian cultures as he learns the craft of teaching, the Malay language and local customs, and gains many friends in his small community. He climbs the highest peak in Southeast Asia—Mount Kinabalu, has a love affair, and navigates Borneo's backwaters to make his first of many documentary films. McKee travels by freighter to Indonesia, where he discovers the scars of that country's recent genocide, a contrast to his hilarious motorcycle journeys in Sabah with his American Peace Corps buddy. They make a hallucinogenic discovery—North Borneo is, indeed, J. R. R. Tolkien's famed Middle-Earth of The Lord of the Rings! The enterprising duo establish the North Borneo Frodo Society, an organization Tolkien joins. Finding Myself in Borneo: Sojourns in Sabah is now available to purchase on Amazon, Barnes & Noble, and IndieBound. To win a copy of the book Finding Myself in Borneo: Sojourns in Sabah by Neill McKee, please enter via Rafflecopter at the bottom of this post. Giveaway ends on February 4th at 12 AM EST. We will announce the winner the same day on the Rafflecopter widget. Good luck! Finding Myself in Borneo: Sojourns in Sabah is Neill's first Memoir. WOW: Thank you so much for the opportunity to read and help promote this exciting memoir! When was Finding Myself in Borneo born and what prompted you to not only write this book but publish it and share it with the masses? Neill: Actually, I wrote a draft of Chapter 6, Going Native, sometime in the 1990s. But as an international filmmaker, media producer, and author of more technical books and articles on communication for development, I had little time to focus on my own formative years and experiences in Sabah, Malaysia (formerly British North Borneo). It was only in 2013, after a 45-year career, beginning in Borneo, that I began to write this book. But for two years I also did research and writing on my family’s history and never settled down to full-time writing of Finding Myself in Borneo until September 2015, just after we moved to Albuquerque, New Mexico. I had many stories in my head about my sojourns in Sabah, but had not organized my thoughts. I took a graduate seminar at the University of New Mexico (UNM) in creative non-fiction, studying under Professor Daniel Thiel. This really set me in motion. From that experience, getting excellent critique from Prof. Thiel and fellow students, I felt I had great stories to tell. WOW: Well, I certainly agree you have stories to tell! Thank goodness for a great group of supporters. Speaking of which, who has been your biggest supporter and how so? Neill: There was no strongest supporter. I got feedback on drafts from 18 people I acknowledge in the book, including writers, friends with international experiences, my family and my spouse, Elizabeth. They all encouraged me to publish. The feedback required many revisions, at least 50 in all. I got advice on reorganization and where to add more or less detail. I also hired a literary editor, Pamela Yenser, an Albuquerque poet and writer, who provided many ideas. She asked for more detail, more dialogue, and pushed me to reflect and reveal more about myself in the stories. She often wrote new sentences which I then put into my own words. She asked for more poetic writing and I took another graduate seminar in poetry under Diane Thiel, and then revised and revised again and again. After about eight rejections from publishers and two funny offers which involved them reworking my book yet again and then keeping most of the royalties, while putting very little into marketing, I decided to set up a company and do my own publishing. I hired a great designer, Sara DeHaan, and we decided to publish through IngramSpark.com, which allows me to reach potential readers around the world. WOW: That story is very inspirational! What advice would you give other writers who may want to follow in your footsteps? Neill: Be prepared for a lot of work, especially if you are getting into creative writing after another main career. It is not easy to transition from more academic forms of writing but it is certainly a lot of fun. Listening to or reading other memoirs and creative nonfiction works is a great help as well. WOW: How do you celebrate your professional successes? Neill: I held an open house with great Malaysian cuisine cooked and arranged my Elizabeth and invited friends to come and enjoy—buy the book if they wanted to. It is too early to celebrate “success”—have to sell books first. For that I hired publicity people to help and to teach me how to push the book on social media. I am still in the process of rolling this out. At the end of 2019, I may be able to celebrate some professional success in my new career. WOW: No doubt the best is yet to come! 2019 is definitely going to be an exciting year for you - I can feel it! Are you part of a writing or critique group, why or why not? What advice can you give others when it comes to feedback regarding their writing? Neill: The graduate seminars I attended at UNM were my first critique groups. Then I shared drafts with the contacts mentioned above. I never joined a separate critique group but now have two creative writers who are providing this essential function. You cannot do it alone. You can write for yourself, sure, but potential readers may not care about it. What’s the purpose in writing if you don’t communicate? My whole career has been about communicating well in various media, usually involving a lot of research, including feedback from potential audiences. WOW: What would your current self say to your younger self when it comes to writing and life? Neill: I guess it would have been useful to keep a better diary. I am lucky to have a good memory still, copies of letters I wrote to friends, and letters to my family which my mother returned to me before I died. I also kept my old photo albums and a file on the North Borneo Frodo Society. These records helped a lot. If I had kept a diary of some sort it would have been easier, probably. However, creative nonfiction is not a regurgitation of chronological events, so maybe it would have been harder to see the forest for the trees. The records I did have in my possession triggered so many memories, and that was the key to completing a literary memoir. WOW: If this book were turned into a movie, what theme song would be appropriate and why? WOW: What do you know now that you wish you had known before writing and publishing Finding Myself in Borneo ? Neill: I now know how much work it is to write well for a broad audience, as well as the key elements of success – finding good technical help and input. It took a lot more time and resources to complete and publish this book than I had expected. WOW: Beyond the celebrations and success that will most definitely happen this year, what's next for you? Neill: I’ve completed the draft of a childhood and youth memoir that is about my life in the industrially polluted small town I grew up in. Each chapter is about a different mode of escape. It is written in a “tongue in cheek” way for entertainment and audience interest. The last two chapters are about my university years, my indecision about what I want to do with my life and then my departure for Borneo. I expect this book to come out later in 2019. I’ve also completed about half of the draft of a travel memoir on searching for the stories of my ancestor in Canada and the United States. It’s a major piece writing which will take the reader back through most of the wars and conflicts in North America, ending with those of the Pilgrims in New England. I plan for this one to come out in 2020 at the time of the 400th year anniversary celebration of landing of the Mayflower on New England’s coast. WOW: I'm looking forward to this book tour and hearing from other readers, as I'm sure you are too! Thank you for your time and for sharing your story with us today. Neill McKee launches his tour of Finding Myself in Borneo: Sojourns in Sabah with an interview and giveaway at the Muffin! 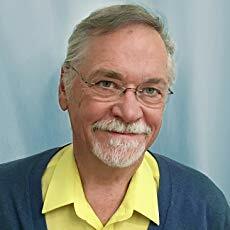 Learn more about Neill McKee as he is interviewed by Cathy Stucker at Selling Books. You won't want to miss this insightful interview about McKee and his memoir Finding Myself in Borneo: Sojourns in Sabah. Crystal Otto couldn't wait to get her hands on Neill McKee's memoir about his travels and finding himself! This busy farmer seldom leaves the farm and enjoyed every moment she experienced reading Finding Myself in Borneo: Sojourns in Sabah. Find out more in her book review at Bring on Lemons today! Don't miss a very honest book review about Neill McKee's Finding Myself in Borneo: Sojourns in Sabah. Fellow author Fiona Ingram reviews the adventures story of Neill McKee's journey in Sabah and his experiences h in Finding Myself in Borneo. Readers won't be disappointed in Ingram's review or McKee's memoir! Nicole hosts a special feature with author Neill McKee about his memoir Finding Myself in Borneo: Sojourns in Sabah. Fellow memoirist Madeline Sharples hosts Neill McKee today as he pens today's guest post titled: Living in and learning about a very different culture”. 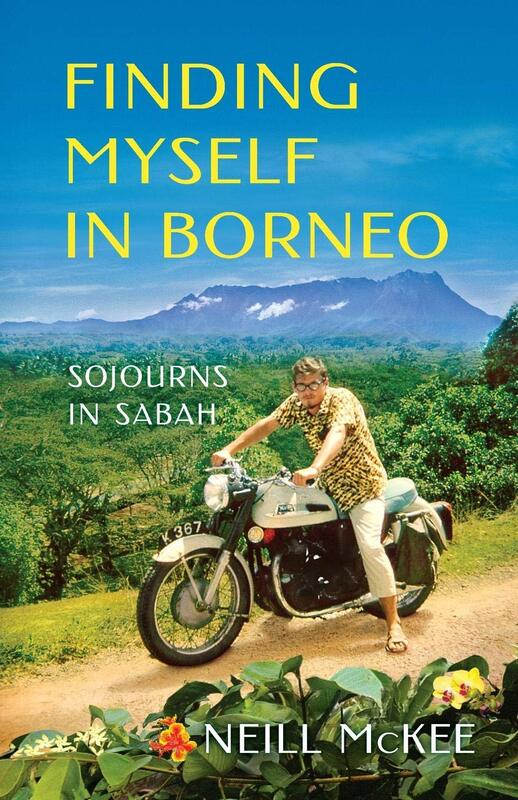 Find out more about McKee and his memoir Finding Myself in Borneo: Sojourns in Sabah. Young reader and reviewer Elizabeth Hansen shares her thoughts after reading about Neill McKee's memoir Finding Myself in Borneo; Sojourns in Sabah. Avid reader, constant dreamer, and occasional traveler Tricia Schott Baldwin reviews Finding Myself in Borneo: Sojourns in Sabah by Neill McKee. Tricia shares her thoughts with readers at Bring on Lemons - will this be a lemon or sweet sweet lemonade? Nicole discusses "3 Things on a Saturday" with Neill McKee. Learn more about McKee and his memoir Finding Myself in Borneo: Sojourns in Sabah. Memoir expert and educator Jerry Waxler pens his review of Finding Myself in Borneo: Sojourns in Sabah by Neill McKee. Readers and memoirists alike won't want to miss this insightful post and review by Waxler. Neill McKee finds himself penning today’s guest post “Becoming a memoir writer after retiring from another career.” at Kathleen Pooler's Memoir Writer's Journey - don't miss the opportunity to learn more about McKee and his exciting tale Finding Myself in Borneo: Sojourns in Sabah. I love books about travel. Looks very interesting.